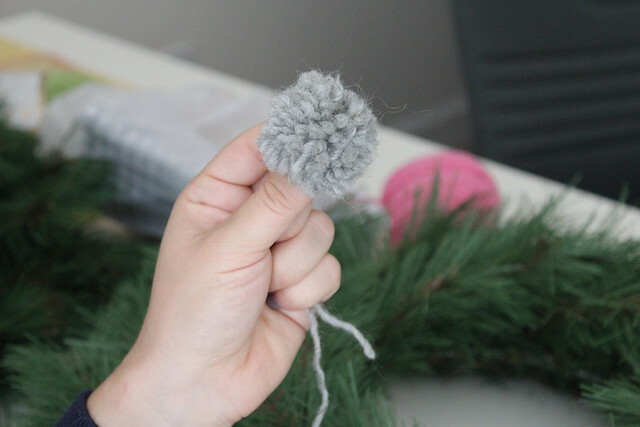 This is what we like to call the lazy girl pom pom tutorial. 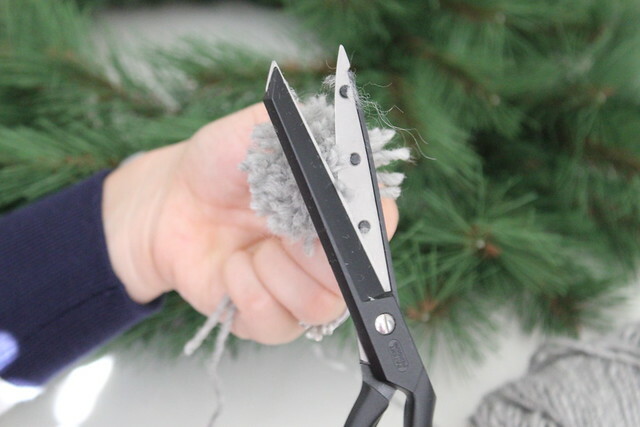 All you need is yarn and scissors! Sally and I started this project a couple weekends ago when we should have been packing up our house. 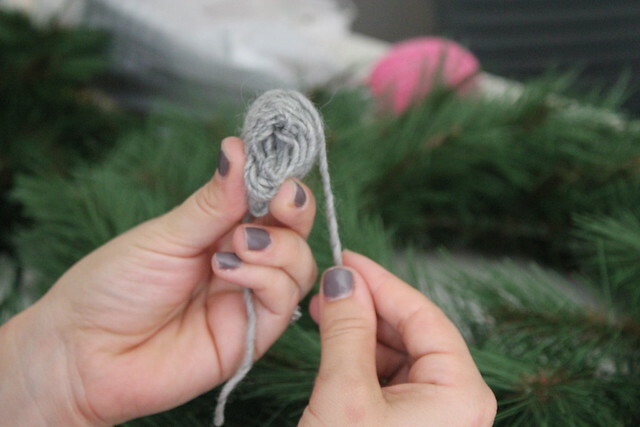 Instead, I unpacked my craft supplies and we had ourselves a crafternoon. Kenley and Margot joined, but they were not much help. or three or four, if you want your pom to be bigger. 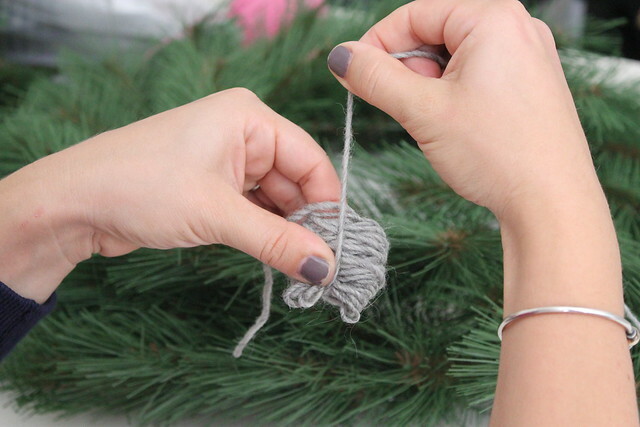 Wrap, wrap, wrap the yarn. 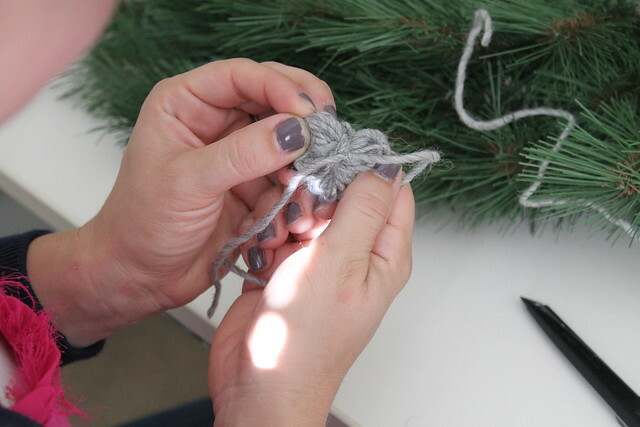 Continue to wrap until you have a good chunk. If you think you should do more, do it. You can never have too much, but you can have too little. 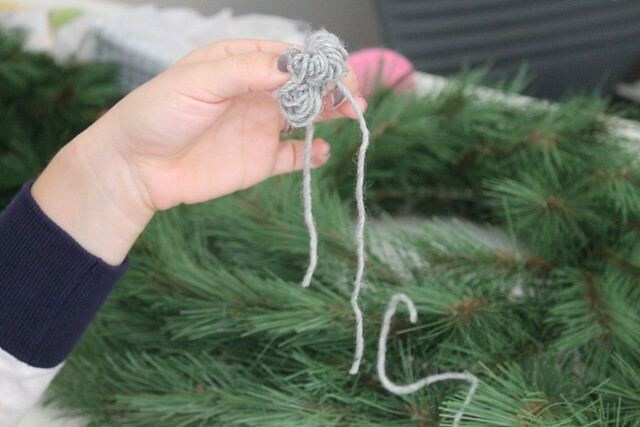 Slide the yarn off your fingers gently creating some slack on the other end. 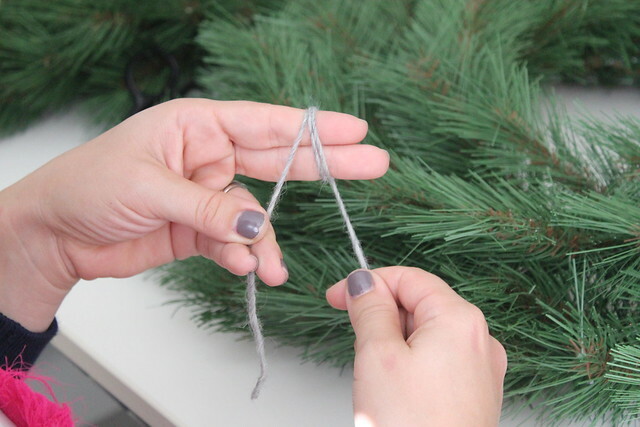 Wrap the slack from the end around the center and pull very tight. 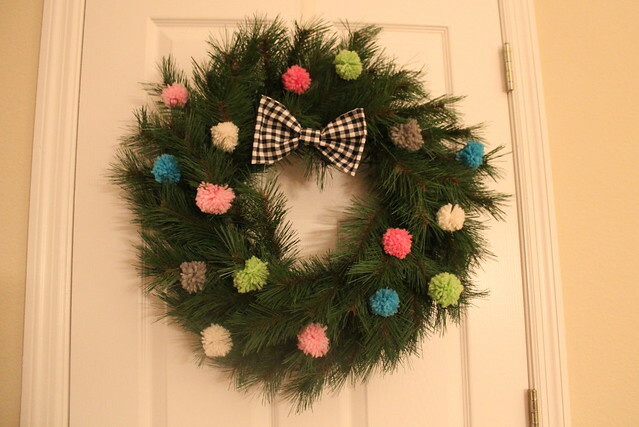 It should be wrapped tight enough that it should look like a bow. 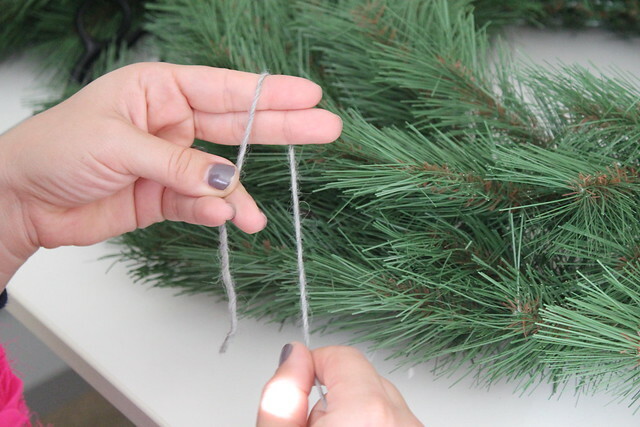 Once it is wrapped tight, tie a knot in the middle with your two ends of slack. You should still have some slack after you have tied the knot. This will come in handy later. 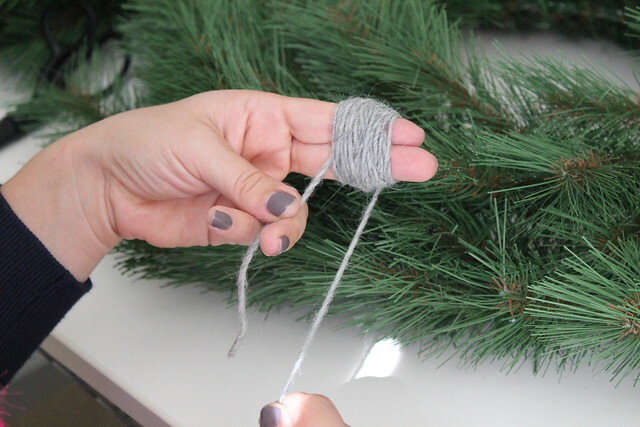 Cut open the yarn on each side of the tie. You should have no loops after you’ve made all the cuts. 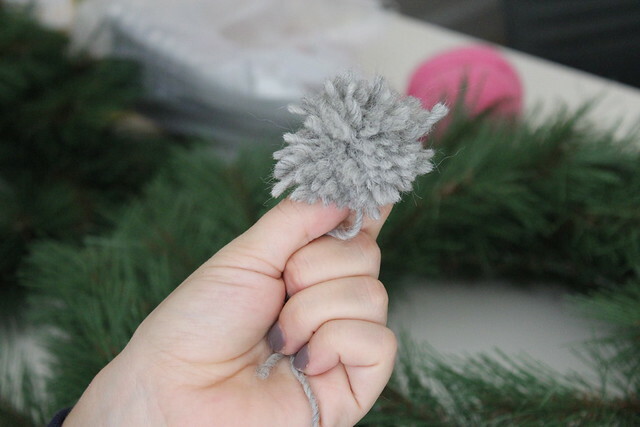 Gently roll the pom between your hands to give it some fluff. 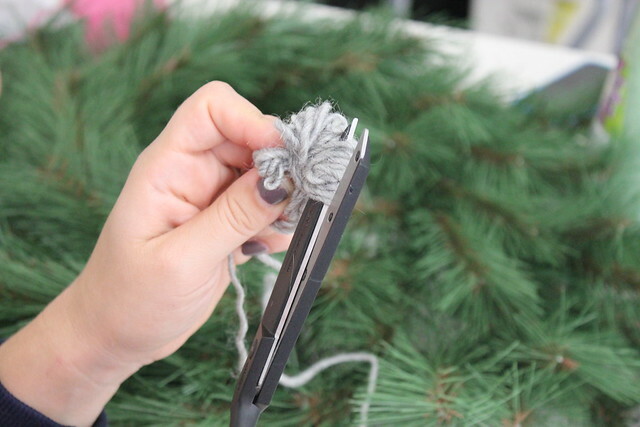 Trim the ends of the pom all the way around so they are all the same length, giving the pom a rounded look. The “haircut” is really what makes the pom look great. 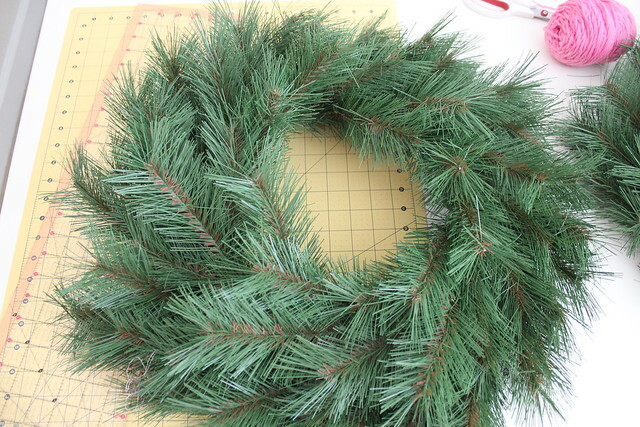 I got a plain wreath at Jo-Ann’s for 40% off, so it was around $11! 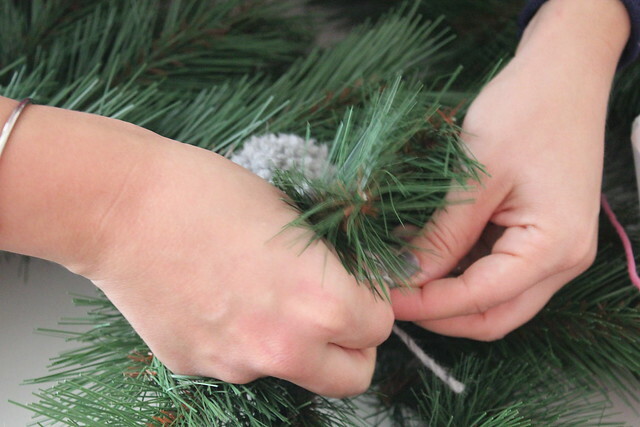 Tie the pom onto the branch with the slack that was cut. Here is the final product! I am obsessed. 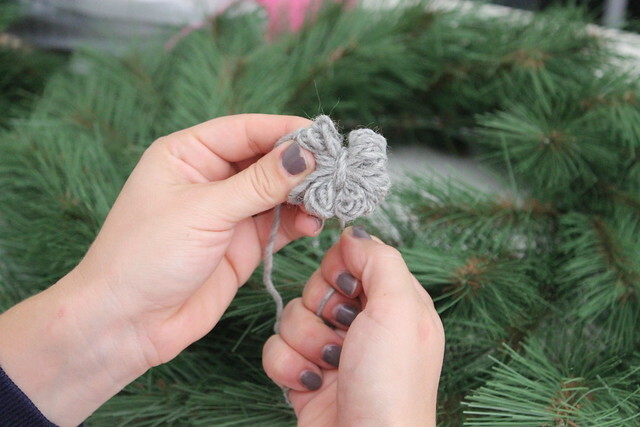 For the adorable bow tutorial, head over to Sally’s blog to find out how I did it. 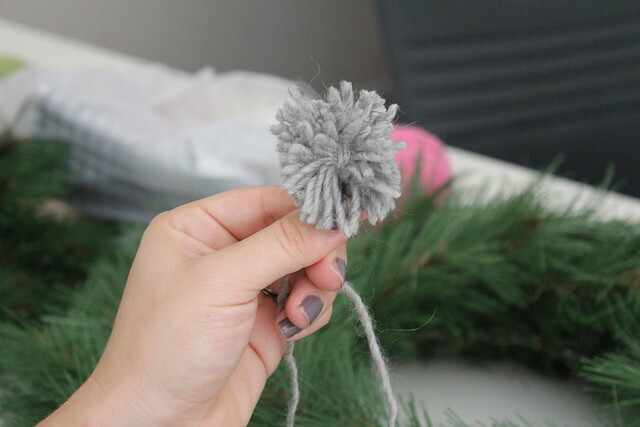 It’s easy, but not as easy as our lazy girl pom poms. 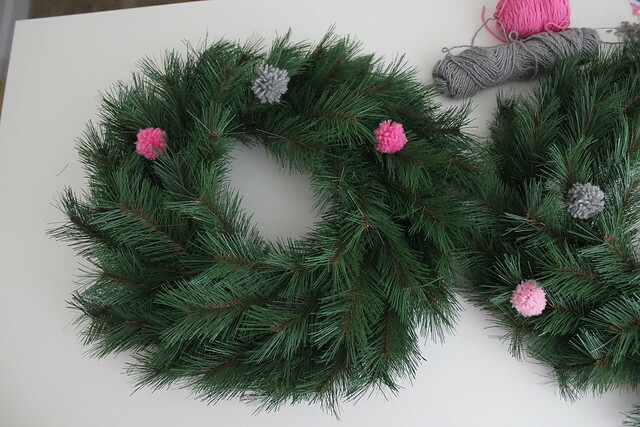 Have you made any fun wreaths lately?